It’s one of the most frequently asked questions that I get from readers. My answer: leftovers. Or, leftovers mixed with scrambled eggs. I usually don’t eat a fancy breakfast, at least not on weekday mornings. Crispy waffles, frittatas, prosciutto egg cups and oat-free oatmeal are usually reserved for special brunch dates with Roby. But, I do understand wanting something comforting in the mornings – foods like the ones you used to eat before starting a real food/paleo diet. When I was in high school, I ate a bowl of oats every day. That’s back when I thought that eating those brown-sugar oatmeal packets first thing in the morning was healthy. I enjoyed the flavor, but more than that, I enjoyed the warmth it offered on a cold morning. Even now, there are mornings where I crave a bowl of hot cereal. 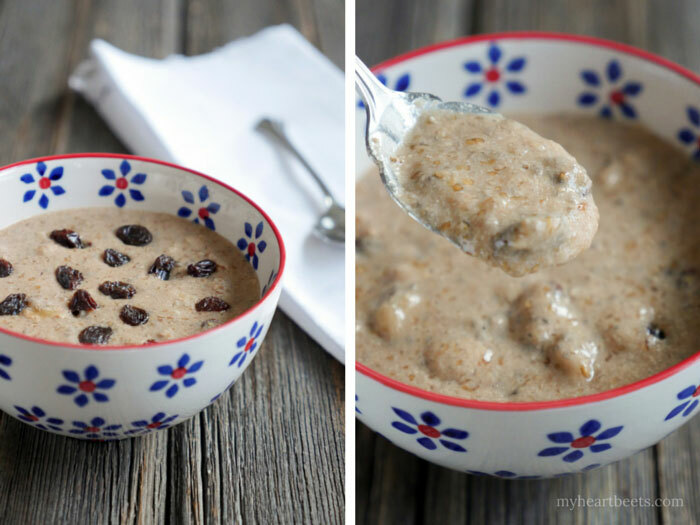 It was on one of these mornings that I came up with this Cinnamon Raisin N’oatmeal. It tastes a little like a combination of raisin bran cereal and oatmeal. If you haven’t heard of the term n’oatmeal, it just means “no oatmeal” – that was probably self-explanatory. 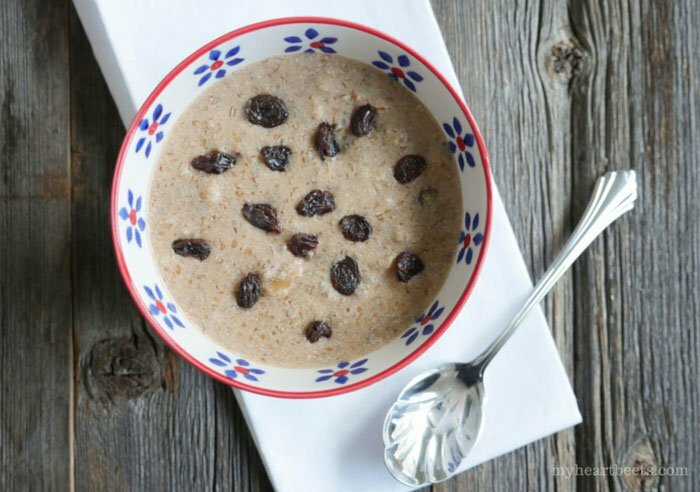 This warm breakfast is comforting and naturally sweet. 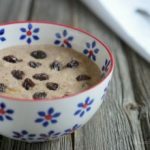 The raisins plump up in the warm nut milk and provide a slightly chewy texture that pairs nicely with the softened but still crunchy walnut pieces in the “oatmeal.” Adding warming spices like nutmeg and cinnamon makes this thick and creamy porridge even more perfect on a cold winter day. 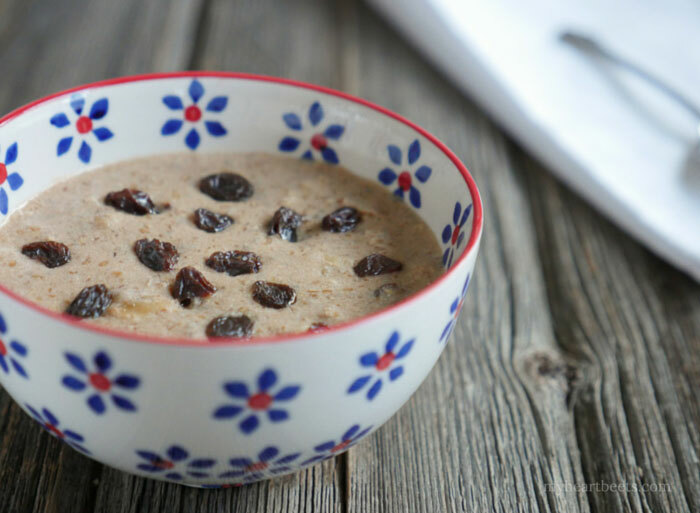 Not only is this n’oatmeal tasty, it’s also a fairly healthy breakfast. While it probably doesn’t compare to the nutrition that eggs provide (let’s be honest, what does?) – it is high in fiber, protein and omega-3 fatty acids. That’s because this cereal is made with good for you ingredients: flaxseeds, chia seeds, coconut flour and nuts. These foods can offer health benefits when eaten in moderation. Flaxseeds provide fiber and omega-3 fatty acids. They’re also rich in lignans which can help reduce risk of heart disease, diabetes, and cancer (source and source). Coconut flour is high in fiber and protein, and it’s a good fat. You can add honey or maple syrup to make this breakfast a little sweeter, but truthfully I think the raisins add enough sweetness. I usually add a little maple syrup to my husband’s bowl to keep him happy. Porridge isn’t exactly his idea of festive breakfast (he’s more of a bacon and eggs type of guy), but sometimes you need variety in your breakfast routine. This recipe makes enough for one serving, so be sure to double the recipe if there are two of you. I have quadrupled this recipe before – the only change in the directions is that you’ll have to cook the milk mixture for an extra 5 minutes. If you re-heat this, you may need to add more warm nut milk or hot water. Enjoy! Add the flaxseed meal, nuts and coconut flour to a medium saucepan and stir-fry for 4-5 minutes, or until toasted. Next, add the milk, chia seeds and spices and cook for 5 minutes, stirring occasionally. Turn off heat, stir in raisins and sweetener if using, and serve. I woke up needing something warm and comforting. I made this for breakfast and it is absolutely delicious! Ashley, thank you for another wonderful recipe. I just made n’oatmeal using a combination of this recipe and Strictly Delicious’s cauliflower n’oatmeal recipe! Basically I used roasted cauliflower instead of nuts since I’m trying to ease myself onto the AIP diet. It’s just slightly cauliflower-y but I feel like if I added more cinnamon and stuff I could cover it up. What’s the difference between ground flaxseed and golden ground flaxseed? Hi Laura – it’s just the color. You can use any ground flaxseed/flaxseed meal. I’m assuming that this is for one serving? I need to cook for a family of 6. Hi Kerry, yes this is for one serving. I actually give a tip in the post on what to do to make a larger portion 🙂 I hope you and your family love this recipe! I was a bit skeptical to try this, but it turned out AMAZING! Your recipes are always bang on! I didn’t have coconut flour so I used almond flour instead and omitted the walnuts for a slight nutty taste. I was weary of heating the chia seeds for a few minutes, so I threw them in almost near the end. The texture and taste were so satisfying, better than oatmeal! Thank you! I just tried this last night and it was so good!! I’ve never been a fan of oatmeal and this is way better. Also don’t like raisins so I used honey to sweeten. I plan on making this a weekend morning staple. Thanks! So glad I stumbled upon your site and this recipe, I can’t wait to try this recipe out. Chloe, glad you found my site too! 🙂 Hope you love it! I just couldn’t face eggs for breakfast this morning. So I was just going to skip it. So I took my coffee and headed for the laptop. Keeping my priorities straight, I headed to My Heart Beets first to see the exciting new recipes. And there it was……my breakfast. 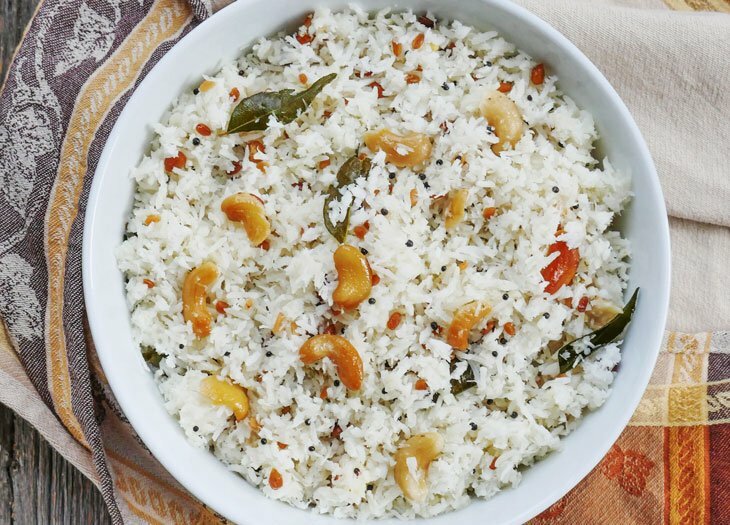 Easy, quick and SOOOOOOO delicious. You never let us down Ashley! My son is allergic to coconut so I will substitute with almond flour and almond milk and then leave walnuts out to avoid his allergy to that too. So when I stir-fry the almond flour and flaxseed meal before adding the almond milk, chia seeds and spices- is that just placing those two dry ingredients in the pan, or adding any type of oil/liquid at all along with it? We just found out he has many allergies, so I have having to learn how to cook a whole new way! Thanks! How high should the heat be when you add in the milk? Ashley, I tried giving your recipe 5 stars but it wouldn’t let me ? The 5th star will not light up and I’ve tried repetedly. I have a question about the recipe…can any of your N’Oatmeal recipes be made ahead for my hubby’s breakfast the night before and reheated the next morn? I know flax & chia seeds absorb a lot of moisture so I didn’t know if it would become super thick or gelatinous. Thank you in advance! LOVE every single one of your recipes I’ve tried!! Great, thanks! So glad you changed my rating ? I was able to make it work this time for some reason. I have not tried yet but wanted to know the nutrition value if possible. Thank you. I just made this, it reminds me more of cream of wheat than oatmeal. But still very good and filling. I added a 1/2 ripe smashed banana for the touch of sweetness and it worked! Thanks for the egg alternative. I just finished my first Whole30 but I am basically sticking to the plan, which is why I can have the mock breakfast cereal now. Do you know how many calories in one portion? 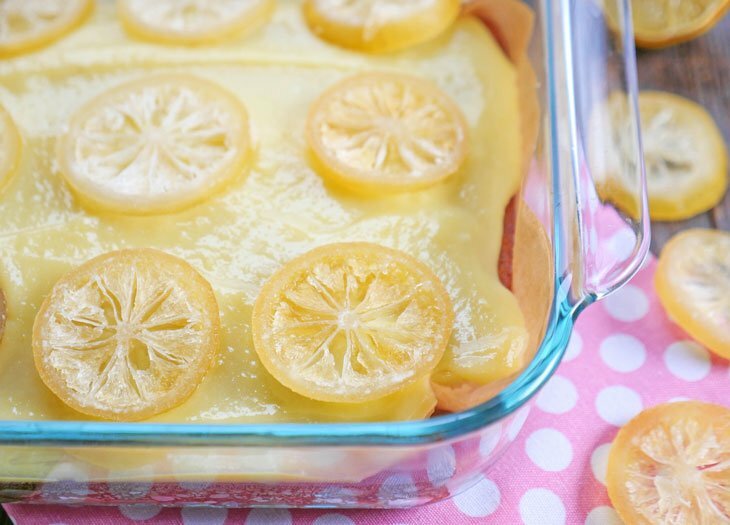 Emma, I’m so happy to hear that your kiddo likes this recipe! 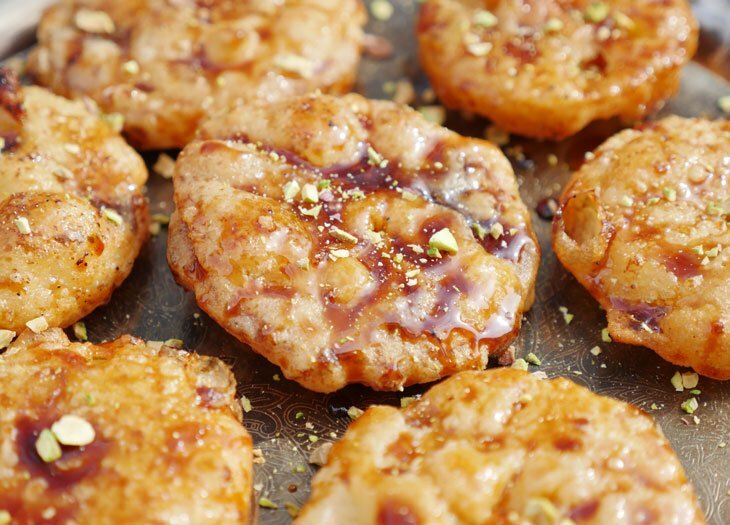 If you haven’t yet – try my naan or my chicken nuggets! Your little one might like those too! Hi mine came out like soup!! Any idea what I might be doing wrong? I looked at the measurements three times. 😞It was delicious though!! I’m new to paleo. Mine too. Not very impressed, its not at all like oatmeal. Same. Would not thicken at all for me. It does taste good, so I’d love to figure out what I can do to improve the texture. This was great, I actually think I like this *better* than oatmeal! I made this recipe this morning and the flavor is great but it came out more like breakfast soup. Any suggestions on how to fix that?